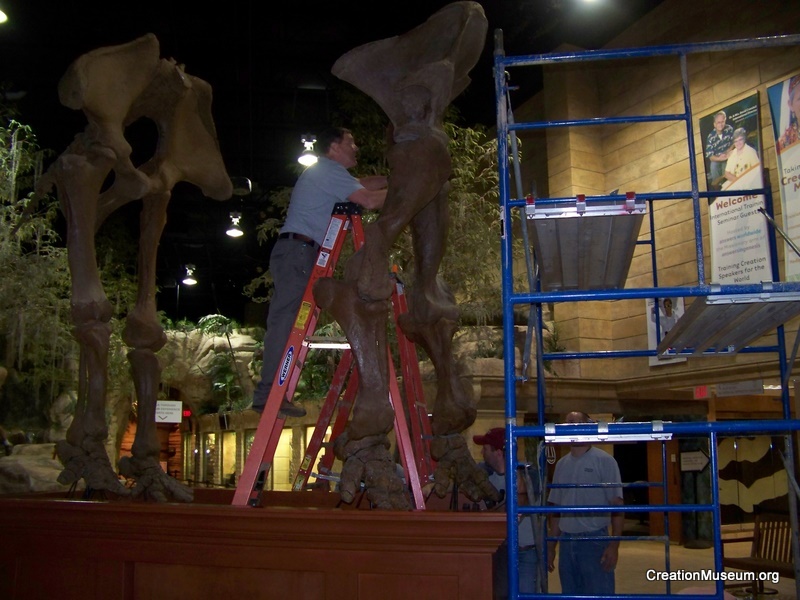 You may have heard about a mastodon coming to the Creation Museum; it is coming no longer, it is here! A crew from our facilities and design teams spent several hours putting this impressive creature together last night. It wasn't their first time putting the skeleton together. It has been assembled in our workshop before and most recently it was on display at the 2009 Southern Baptist Convention in Louisville, where it was seen by the attendees as they entered the convention center. This mastodon was actually discovered nearly twenty years ago! In December 1989, the owner of the Burning Tree Golf Course in Newark, Ohio (USA), Sherm Byers, decided to expand a lake on his course. In the process of enlarging the lake, a backhoe got caught on some large unknown bones. After more bones where found, a team was called in to conduct a detailed excavation. It turned out to be one of the most complete mastodon skeletons found to date! 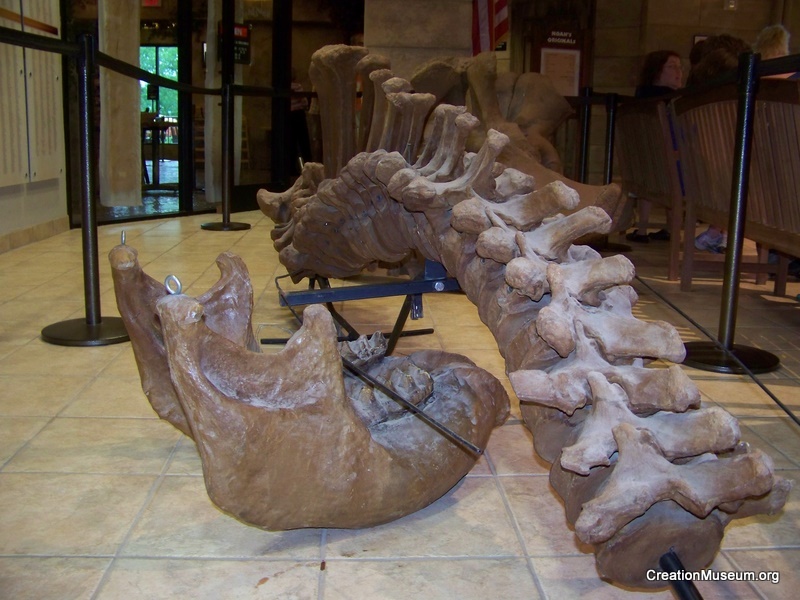 Joe Taylor, a well-known creationist paleontologist from Crosbyton, Texas, was called in by the owner to restore, mold and cast the bones of what turned out to be an 11-foot tall, 15-foot long mastodon. 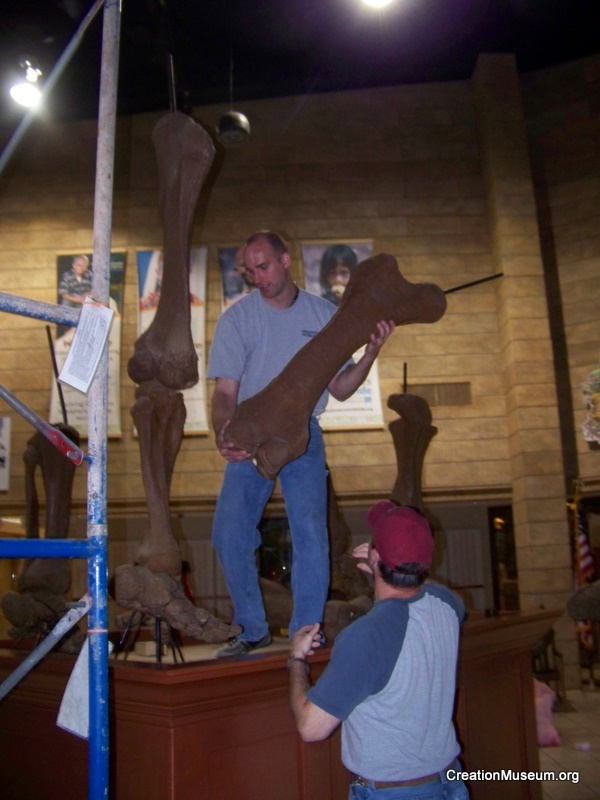 Joe made five casts from the original bones, and Sherm later sold the original skeleton to an overseas museum. Buddy Davis (AiG singer and paleo-artist) who lives within an hour of the Newark dig site, heard about the find from a friend and went to see the mastodon. He then invited Sherm to visit his dinosaur sculpting studio. Sherm was so impressed with Buddy's dinosaur sculptures, that he traded one of his five original castings for some of Buddy's dinosaur models. The Burning Tree Mastodon is a significant find in many ways. In fact, Discover named it one of the top 50 science discoveries of 1990. Besides being one of the most complete mastodon skeletons found (95 percent of the bones were recovered-missing were the back leg, tail and most of the toe bones), it is the third largest mastodon ever found. Its gut contained eight species of live bacteria once thought to be extinct. Additionally, flint markings were found on its ribs, indicating the hunters of the mastodon were skillful enough to kill and butcher the 10,000-pound creature (reinforcing the fact that early man was not primitive). 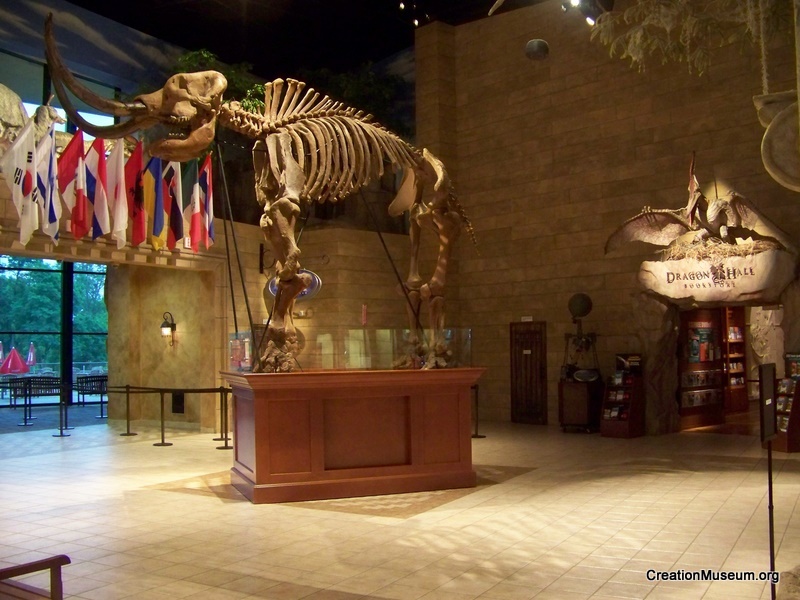 Now when you visit the Creation Museum you'll be able to see the Burning Tree Mastodon casting for yourself, on display in the Creation Museum's Main Hall.